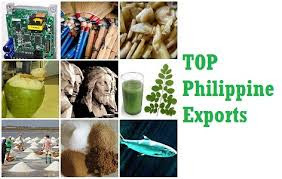 The Department of Trade and Industry (DTI) assessed that Philippine merchandise exports rose 0.3% year-on-year (yoy) in the third quarter of 2018, a positive turnaround following its 1.3% yoy decline in the second quarter and 5.5% yoy contraction in the first quarter of the year. PH’s third-quarter merchandise export performance was largely driven by positive yoy growth in the country’s exports of manufactured goods—led by electronics—with increased exports to the United States (US), China, Hong Kong, and Singapore. In the third quarter, merchandise exports were up in July (+0.3% yoy) and also in August (+3.4% yoy) that combined outweighed its September’s fall (-2.6% yoy), which was partly induced by weakening of global manufacturing activity amid escalating trade tensions between US and China. “The country’s merchandise export performance has been improving on a quarterly basis since the start of 2018. Its growth turned positive in the third quarter after registering negative growth in the first two quarters of the year,” said DTI Secretary Ramon Lopez.